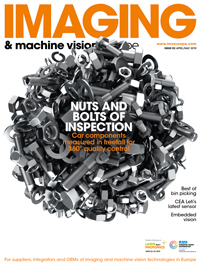 OmniVision Technologies, Inc., a leading developer of advanced digital imaging solutions, has announced its high definition (HD) automotive camera module reference design, developed with collaboration from Leopard Imaging and featuring technology from Texas Instruments (TI). The compact design includes OmniVision’s OX01B40 image sensor plus image signal processor (ISP) system-in-package (SiP), as well as TI’s DS90UB933-Q1 or DS90UB935-Q1 serializer chip and TPS65000-Q1 power management integrated circuit (PMIC). All four components are AEC-Q100 Grade 2 qualified, with an operating range of -40 to +105 degrees Celsius. The reference design can be integrated directly into vehicles as a low-cost solution with the fastest time to market, or the design can serve as a starter kit for Tier-1s and OEMs who want to create their own camera modules. The new reference design was created to assist customers in designing automotive viewing cameras, especially rearview cameras or surround-view cameras, where small size, low power consumption, low thermal output, and excellent image quality are critical. This is the first automotive camera module to incorporate all its components on a single printed circuit board (PCB). Existing modules stack at least two PCBs for the image sensor and ISP, respectively, and usually a third for the power ICs. OmniVision’s OX01B40 SiP combines a high-performance 1392 x 976-resolution color CMOS image sensor and an ISP. It supports streaming video of up to 60 frames per second (fps) and consumes less than 400 mW of power. Built on OmniVision’s 2.8-micron OmniBSI-2™ Deep Well™ pixel technology, the OX01B40 delivers best-in-class low-light sensitivity and 120 dB high dynamic range (HDR) performance for excellent contrast and for resilience to rapidly changing lighting conditions ranging from darkness to bright sunlight. The reference design is available now from Leopard Imaging. For more information on the components, contact OmniVision or TI. To purchase this reference design, contact Leopard Imaging or visit https://leopardimaging.com/product/LI-X1B4-TI933/.